225/55 R 18 98H Toyo R37 tyres are Original Equipment for the Mitsubishi Outlander. Mitsubishi Outlander is a car which is both refined to drive as well as highly versatile. 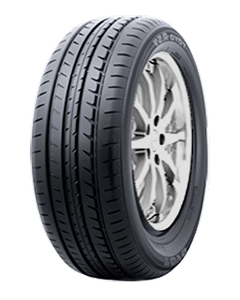 Toyo R37 tyres provide the necessary driving dynamics whilst also providing safe, dependable load carrying. Tire choice was critical to achieve a mix of environmental improvement without compromise and Toyo R37 delivers.